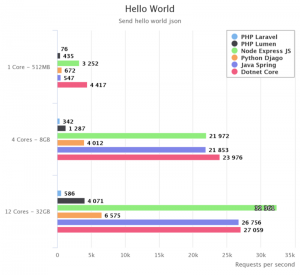 Working as a web freelancer I am interested in how different frameworks and technologies perform, but the majority of the benchmarks found over the internet are considering just the Hello World example. 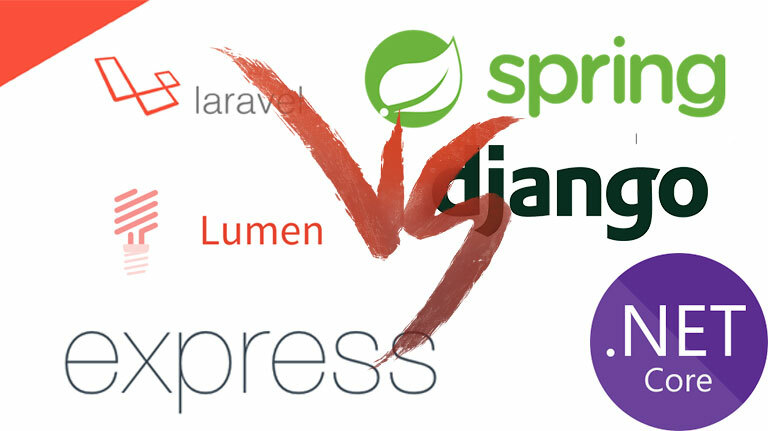 When you are building a real life application there are more aspects to take into consideration, so I decided to run a complete benchmark between the most popular frameworks and technologies. Alongside the performance, I was interested in how easy is to achieve specific tasks in each framework and what is the cost of scaling the application performance. 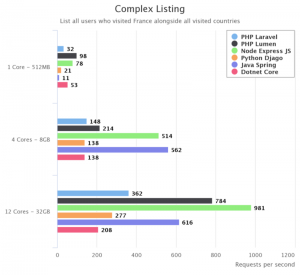 We are interested in the number of requests per seconds each framework achieves on different server configurations alongside how clean or verbose the code looks like. 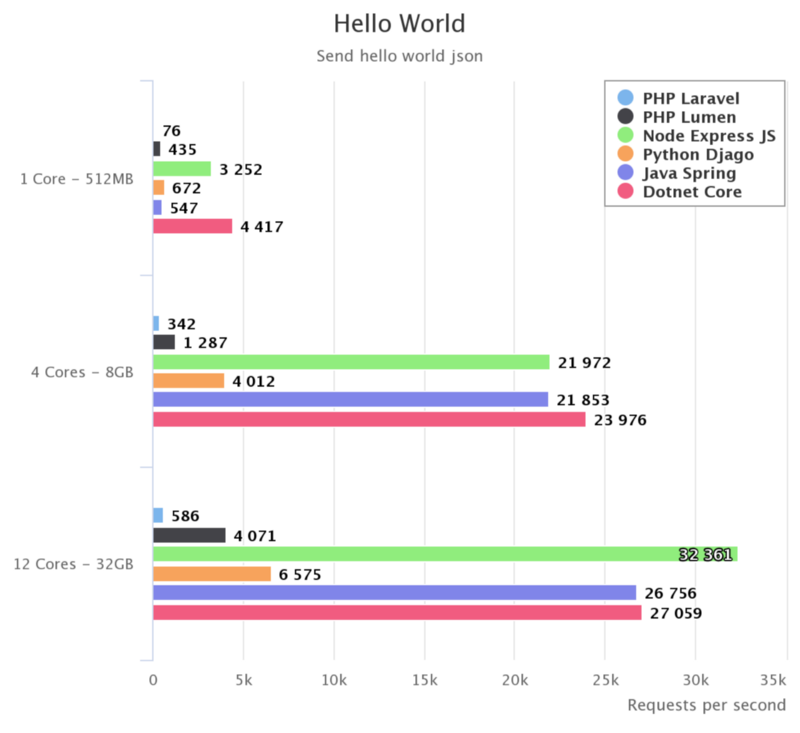 Hello World – simply respond with a JSON containing Hello World string. 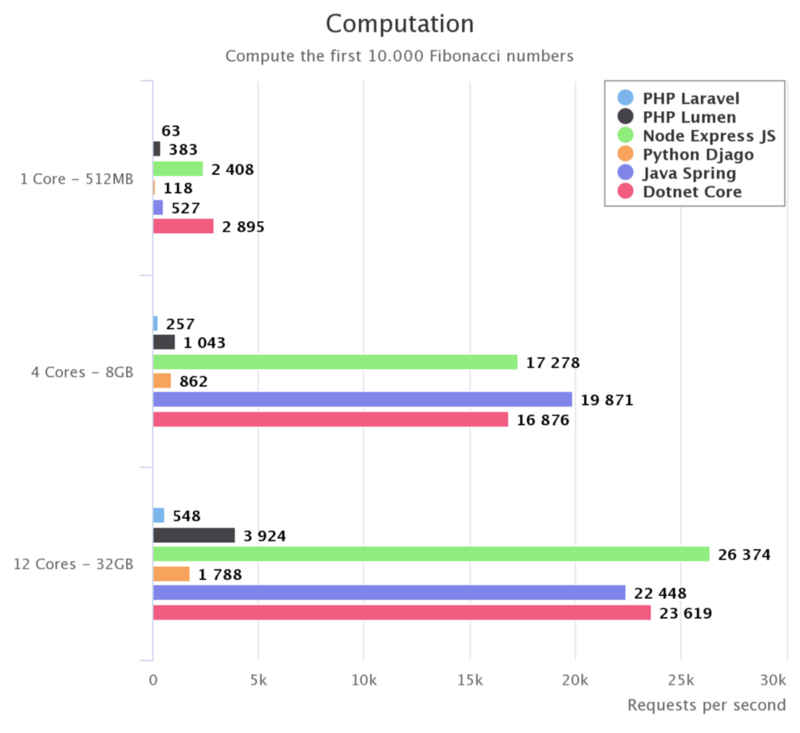 Computation – compute the first 10.000 Fibonacci numbers. 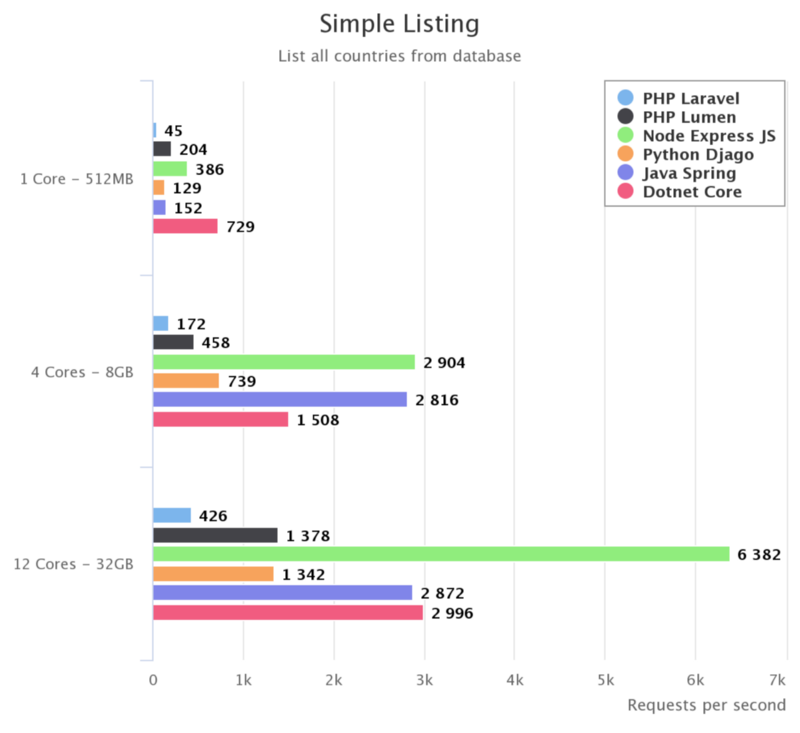 Simple Listing – we have a MySQL database containing a countries table and we’ll list all the countries. 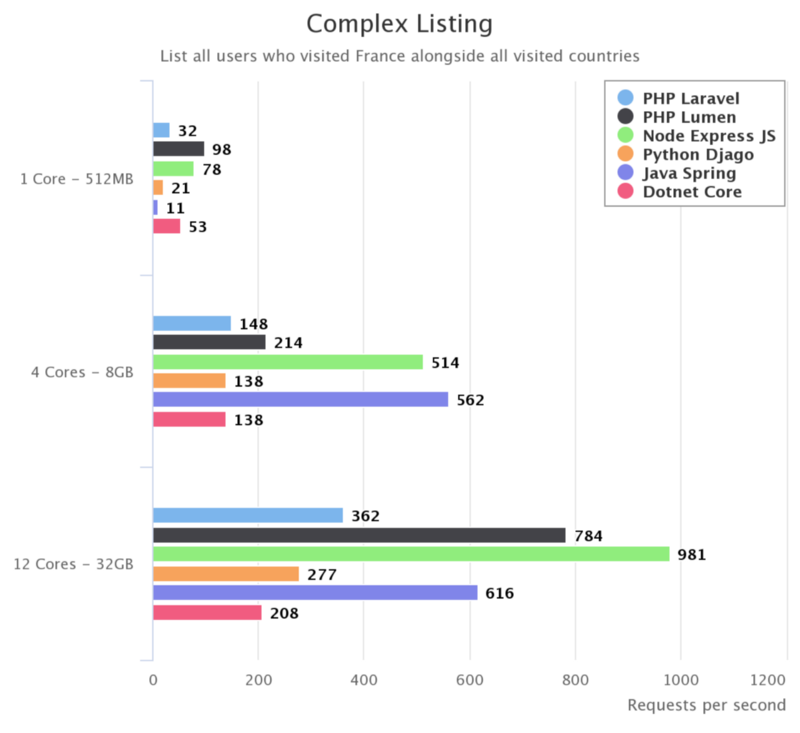 Complex Listing – we add a users table alongside a many-to-many mapping between users and countries and we want to list all users that visited France, alongside all countries each one visited. For building the last two endpoints we’ll use the tools each framework provides to achieve our goal in the easiest possible way. For testing them we’ll use both wrk and ab HTTP benchmarking tools in order to check if we get similar results and also variate the concurrency of the requests so each technology can achieve its maximum potential. These tools will run on their own droplet created on DigitalOcean so they don’t compete on server resources with the actual API application. Also, the server used for placing the test requests and the one used to run the application are linked using their private IP so there won’t be any noticeable network latency. Below you can see the results grouped by each endpoint and also you can check on a single chart how each framework scaled on different server configurations. Below are the actual controllers used for each framework to make an idea about how the code looks like. You can also check the whole code which is available on Github. Having in mind that in a real world application almost all the requests interact with the database, none of the choices are bad and all of them could handle the requirements of most web applications. Regarding application scalability, the best performance per cost was gained on the middle size server. Adding 12 cores and 32 GB of memory didn’t help too much. Maybe, in this case, the bottle neck is somewhere else or it requires fine tunings to unlock the full server potential.